Departing from the Suburbanite Bowl, 201 W. Ogden Ave, Westmont, IL 60559. A second pick-up location TBA. Enjoy Saturday afternoon and evening visiting area attractions such as the Newport aquarium, New Riff Bourbon Distillery, BB Riverboats, Cincinnati Art Museum plus local restaraunts and bars. 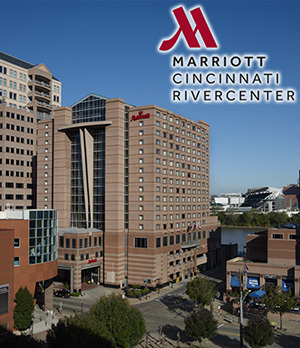 Marriott Cincinnati, River Center Hotel, Covington, KY. 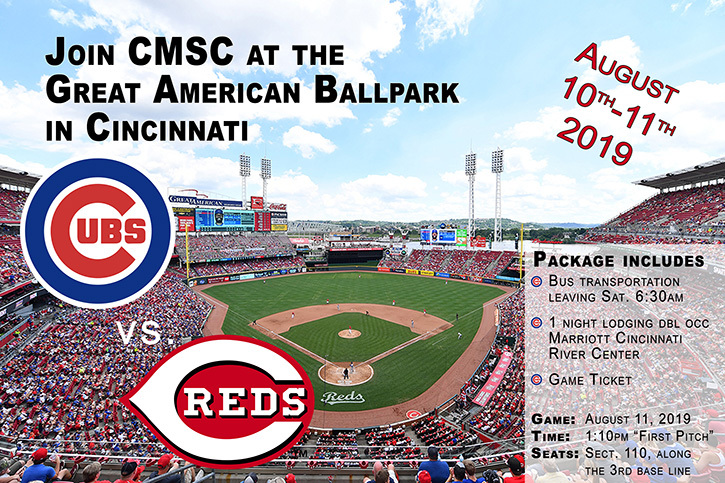 Located just across the river and within walking distance of the ballpark. Shuttles and/or public transportation are also available. Open to CMSC clubs or individual club members. Limited space available, first come first served. $120 per person deposit is due at sign-up. Final payment of $119 per person is due by May 18, 2019 (Trip Seminar).